Is there a different between front pin #28 and #28S? On the pit bull website it says #28S. Anyone here want to sell me theirs ? The "s" stands for Short. Do you need the whole stand, or just the pin? I just got a set of Pit Bulls in the mail today. 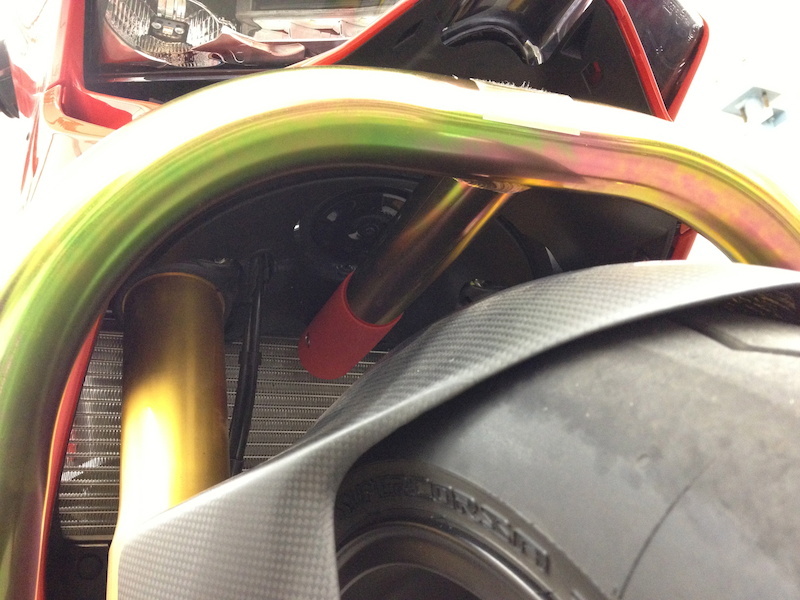 The front stand does clear the fairing, but it's a tight fit to get the stand under there. 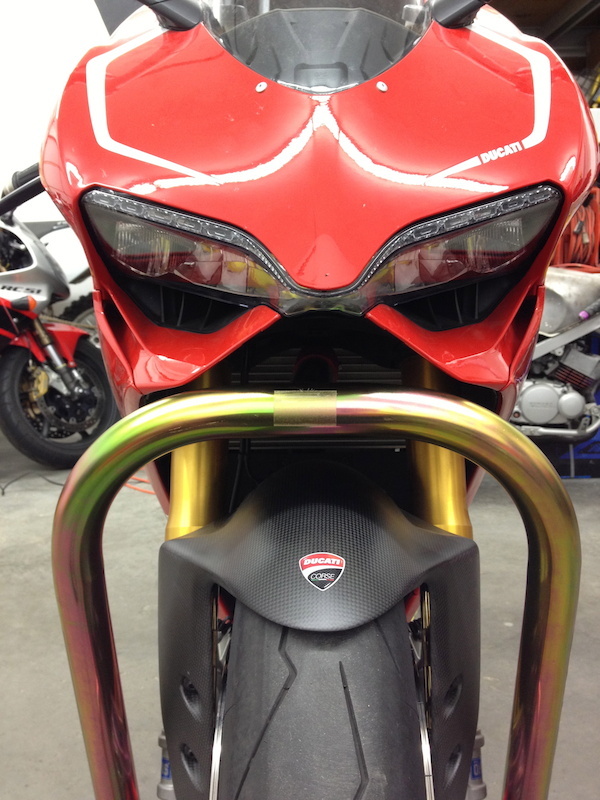 Definitely cover the front fender with a cloth before you wiggle the stand in there. A #28 pin is what I'm using. Both stands are made of steel and are quite solid and pretty heavy (a million times better than the crappy Lockhart Phillips stands I've used in the past). Here's some shots of them in use. I got a question since you have the stand in use. If I got the front lowered one inch, would the stand still fit under there? 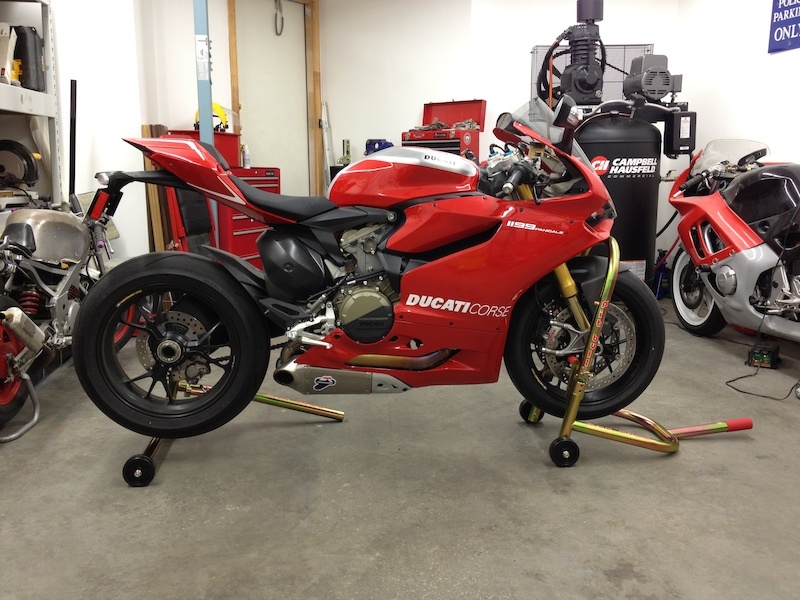 So either #28 or #28S would work on the Panigale? 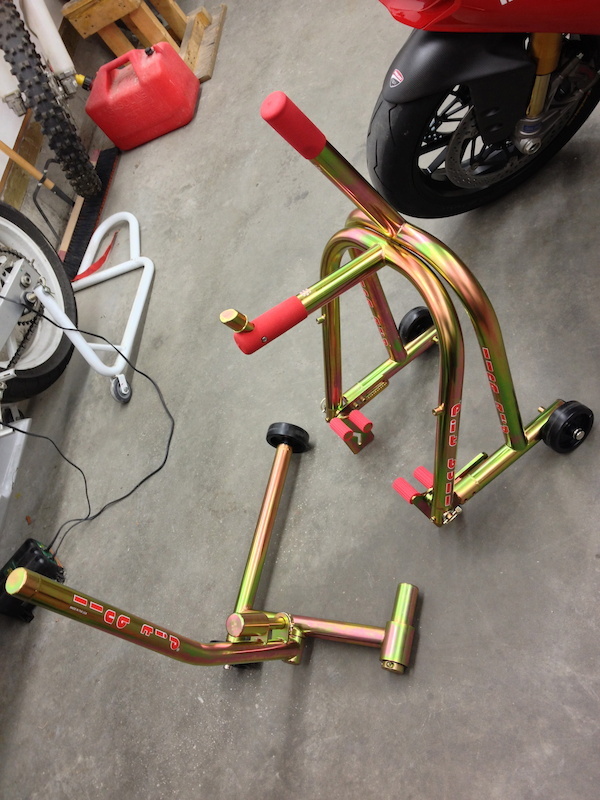 I bought "Bike-Lift" from Italy last year. It's really CRAP! Broken after 3 times using it. I was pretty happy that the Tri still had the front wheel mounted! Pitbull lifter i can not buy in Europe, can anyone recommend the same quality as pitbull that I can buy in Europe, the Czech Republic? No website. He works from a facebook page. Can't recommend the guy highly enough. Products are gorgeous. I like Moto D front stand a alot. I'm not sure if they are available in your area. Paid $149-179$ US. I put a shirt on my fender as I place the pin in the triple tree. Stand does Not even get close to any of the body work.